No injuries, no deaths. Everyone was accounted for. Crews are still trying to get the fire under control. It is contained to within the cracker unit. EPA is here monitoring the air quality, and only found traces of sulfur dioxide in the air. The wind is carrying the smoke up and away, which helps greatly. Hope they get things under control. They got it under control early last night and apparently got it out at 9:45 pm last night. Our local news coverage isn't always the greatest. I was reading better information from surrounding cities. Our local news company has 4 stations but all owned by the same company. We have really good weather reporting and good equipment, but everything else is less than standard. 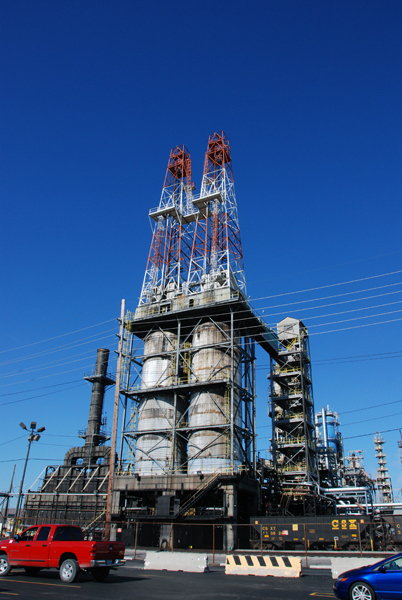 It's said the infrastructure in our nations' refineries is deteriorating steadily and epa regs make it so difficult to open any others the existing ones are run at or near capacity. Ohio has some of the oldest in the nation, as it is where much of the technology originated. Hope they include improvements with their repairs. Right. 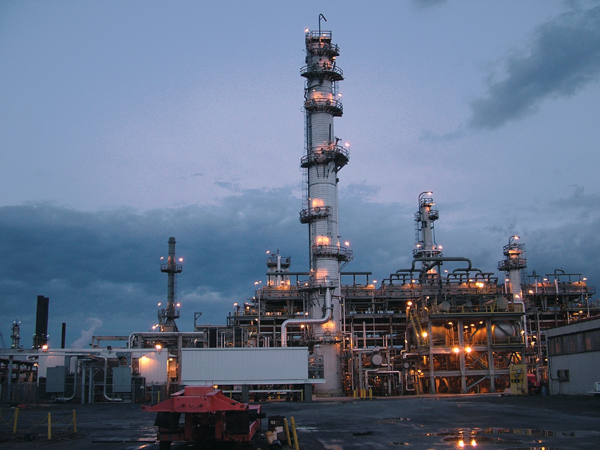 Our refinery is 128 years old and it was originally intended to handle 160,000 barrels a day. Currently it is said we process 155,000 a day. The EPA stepped in a few years back and required some changes to their waste product/pressure relief flares. Only allowing them to be used for pressure relief. Apparently they were in the process of updating some equipment, but now they will have to do repairs. Hopefully they will make improvements along with the repairs. Here is an image of the isocracker, this was taken from their website and apparently taken in 2006. I guess I was lucky, my home town only had 3 glass plants. They were never big on any kind of public hazards nor pollution. There was, however a wire plant on the opposite side of the small river that used to reclaim wire by burning the rubber, jute/tar, pvc, etc. insulation off then tendering the copper and aluminum for scrap. That joint would have two cities coughing and gagging. They would do it every Friday night. They stopped about 1973. That was one good mark in the EPA's book.